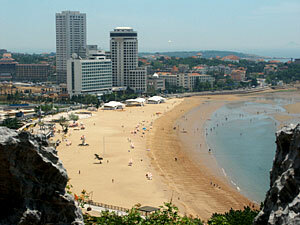 Qingdao boasts many fine yellow sand beaches along its long winding coast. You find seven beaches in the Qingdao area so sea bathing is a must when you are in Qingdao. Even if the best sandy beach Diyi Yuchang is 580m meter long and often crowded it is still the best choice. Another beach is at Badaguan that is surrounded by beautiful vistas and always has a very clear water. Dier Yuchang and Disan Yuchang Beaches are other options as they are smaller, but less crowded. Especially Disan Yuchang has charm with kite fliers and lovers scattered about. At the eastern end of this beach, on the hill, you´ll see the Huashi Lou, a former German governor´s residence built in 1905, with fantastic architecture and decent views of the surrounding area. If you prefer quietude, we recommend to go to beautiful Shilaoren Beach in the eastern part of Qingdao.